We have specialised in Saving Energy upto 25% by various methords with short pay back period. Sahnstherm is a high technology memberance & coating specially formulated to prevent heat transferring & permeating into a building or insulation. Sahnstherm will reflect & reradiate Upto 95% pf infra red rays & Ultra Violet rays. We suggest our clients’ consultancy of Electrical Energy saving system. A proper saving system consists of detecting the time span when there is an overload in the demand of energy of a region providing a controller in certain number of devices and equipment connected to the energy distribution system of a region according to the overload registered at said region. Air conditioning and refrigeration consume significant amount of energy in buildings and in process industries. The energy consumed in air conditioning and refrigeration systems is sensitive to load changes, seasonal variations, operation and maintenance, ambient conditions etc. Hence the performance evaluation will have to take into account to the extent possible all these factors. 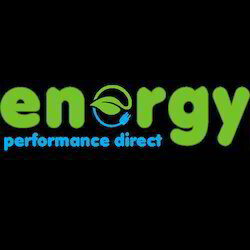 Consultancy in energy saving for lighting. Shree Energy Conservation Services Pvt. Ltd.
Energy efficiency refers to measures and strategies involving rational use of energy resources, thereby reducing demand. Thus, energy efficiency measures enhances energy security by spreading available energy resources over a long period of time and at the same time mitigate environmental impacts and reduce the cost of energy delivery. 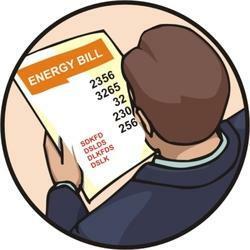 More often than not, people pay their electric bills without going into the details of it. We analyse the electric bills for scope of savings. The saving can be by proper demand management, power factor incentive, adjusting tariff category and check excess billings. Complicated back office functions can be costly in time and money. SMB’s in particular may be hindered by their size and prevented from performing a task at a consistent and reasonable cost. Outsourcing to specialists in particular activities for example B2B or B2C sales could ease this burden and also give them access to a more skilled group of workers for a specific business activity.